This lightweight, easy maintenance option is an upgrade from ballasted systems. The most widely installed system in commercial rooﬁng, mechanically attached roofs are held in place by plates and fasteners secured through the membrane and into the deck. This stability makes them an ideal choice for areas with moderate winds. 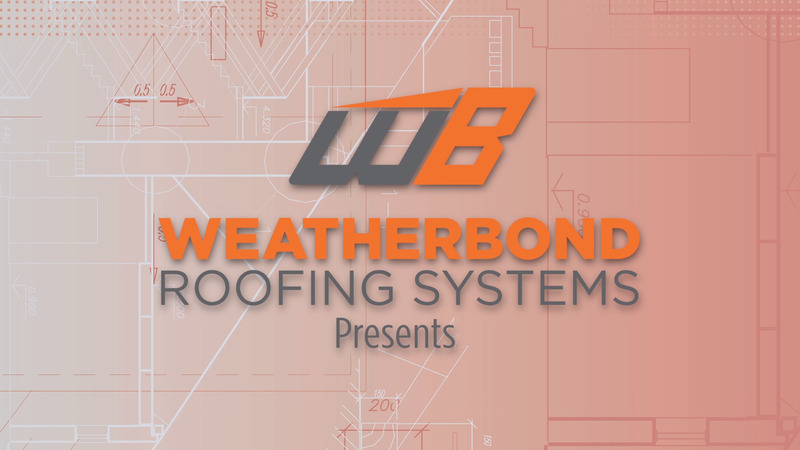 In addition to single-ply membranes, WeatherBond also offers a full line of pre-assembled plates and fasteners that dramatically speed up installation. Our ethylene propylene diene monomer membrane provides mechanically attached systems with long-term strength, durability and weatherability. The most popular product in commercial roofing, thermoplastic polyolefin offers ease of welding for seaming and detailing on mechanically attached roofs. Flexible polyvinyl chloride is highly reflective and can help reduce the air conditioning costs of your mechanically attached roofing system. Watch our step-by-step installation videos and browse other helpful resources for contractors and DIYers. WeatherBond insulation pairs high performance with longevity. Reduce energy consumption and improve performance with the perfect insulation. Browse labor-saving roofing accessories ranging from fasteners and plates to adhesives and penetration seals.